This quote sits so near and dear to my heart. When you have lost someone who is so important to you; whether it be your family member, or your friend, you lose something inside of you that you always saved for just them. That’s what lingers with us after that person has passed away, is ashes. Ashes from their smell, their giggle or their cry, ashes from a bond that you knew was hands-down unbreakable. 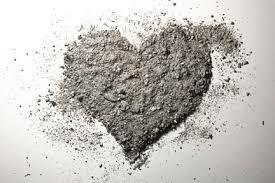 Ashes from knowing that they are being called to be with God and serve a greater purpose in life, but our selfishness wants them here with us, for so much longer. This is what was left of me when I had lost Rochelle. It seems that beauty came from Lamar with the birth of Brielle and her “boyish ways”. She has his heart instilled in her, and I know deep down that they would be very similar if he had the chance to be here with us. After we lost Rochelle, it was as if I couldn’t see past the ashes and find beauty. In Isaiah 61:3, it reminded me that you can always find beauty in something. God called for Rochelle to be with him, and he gave us the ability to see how much we really have in life (a healthy toddler, a good marriage, good friends, good family, and Him).We thought we lost everything all over again, yet we just had to look at our surroundings a bit deeper, and cherish the moment we are in. Not all days are great, but I am so thankful to be able to start finding the beauty again in life and I am hopeful to see what God has in store for us! Which would you like best? Thank you for reading, and yes! I loveee me some Joel Osteen!